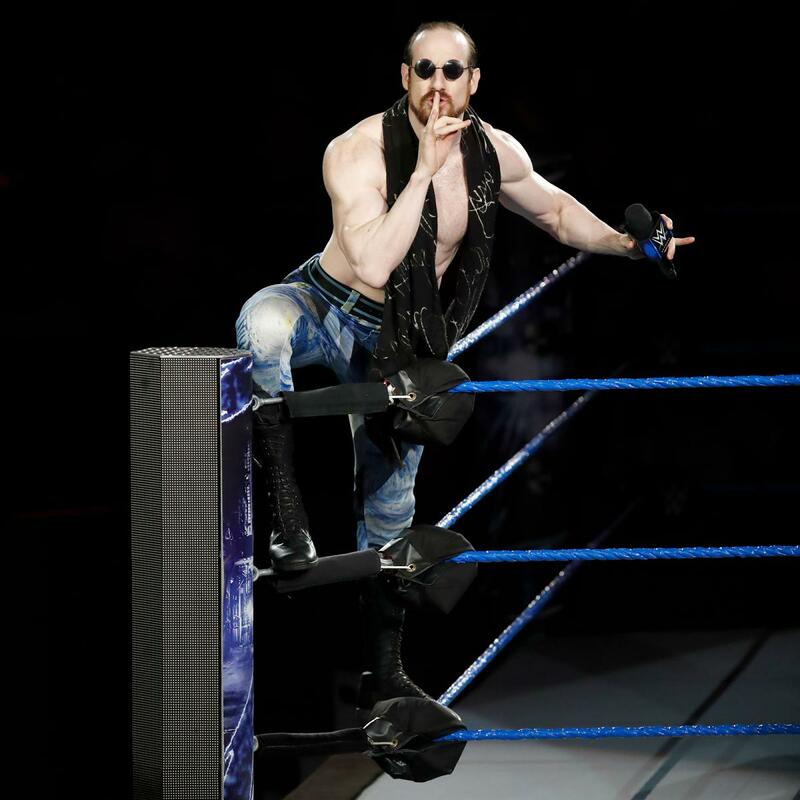 Check out Aiden English’s WWE profile here! November 8, 2012 – NXT Live Event: Paige and Yoshi Tatsu defeated Emma and Aiden English. January 9, 2013 – NXT Live Event: Bo Dallas defeated Aiden English. January 12, 2013 – NXT Live Event: Xavier Woods defeated Aiden English. January 30, 2013 – NXT: NXT Champion Big E. Langston defeated Axl Keegan in a non-title match. February 7, 2013 – NXT Live Event: Aiden English and Alexander Rusev defeated Axl Keegan and Mojo Rawley. February 13, 2013 – NXT Live Event: Leo Kruger defeated Aiden English. March 28, 2013 – NXT Live Event: Aiden English and Leo Kruger defeated Derrick Bateman and Mike Dalton. April 18, 2013 – NXT Live Event: Aiden English defeated Percy Watson. April 19, 2013 – NXT Live Event: Sakamoto defeated Aiden English. May 16, 2013 – NXT Live Event: Alexander Rusev defeated Aiden English. May 24, 2013 – NXT Live Event: Garrett Dylan and Scott Dawson (w Sylvester LeFort) defeated Aiden English and Micky Keegan. May 25, 2013 – NXT Live Event: Garrett Dylan and Scott Dawson (w Sylvester LeFort) defeated Aiden English and Micky Keegan. May 30, 2013 – NXT: Aiden English was in the battle royal won by Bo Dallas. June 27, 2013 – NXT: Big E. Langston defeated Aiden English. July 24, 2013 – NXT: The Ascension (Conor O’Brian and Rick Victor) defeated Aiden English and Mickey Keegan. July 31, 2013 – NXT: The Ascension (Conor O’Brian and Rick Victor) defeated Aiden English and Mickey Keegan. August 1, 2013 – NXT: Erick Rowan and Luke Harper defeated Mickey Keegan and Aiden English. August 9, 2013 – NXT Live Event: Kassius Ohno (Return) and Sami Zayn defeated Aiden English and Danny Burch. September 18, 2013 – NXT Live Event: Aiden English, Danny Burch and Jake Carter defeated CJ Parker, Jason Jordan and Kassius Ohno. September 18, 2013 – NXT (Taped): Aiden English defeated QT Marshall. September 19, 2013 – NXT Live Event: Aiden English and Danny Burch defeated CJ Parker and Jason Jordan. September 25, 2013 – NXT: Aiden English defeated Bull Dempsey. October 10, 2013 – NXT: Rob Van Dam defeated Aiden English. October 11, 2013 – NXT Live Event: Brodus Clay defeated Aiden English. November 14, 2013 – NXT: Aiden English defeated Camacho. November 21, 2013 – NXT: Adrian Neville defeated Aiden English in a beat the clock challenge. January 9, 2014 – NXT: Aiden English defeated Colin Cassady. February 6, 2014 – NXT: Tyson Kidd defeated Aiden English. February 13, 2014 – NXT: Aiden English defeated Colin Cassady. March 20, 2014 – NXT: Sheamus defeated Aiden English. March 21, 2014 – NXT Live Event: Corey Graves defeated Aiden English. April 17, 2014 – NXT: Aiden English defeated Colin Cassady. May 8, 2014 – NXT: Aiden English was in the #1 contenders battle royal for the NXT title won by Tyler Breeze, Tyson Kidd and Sami Zayn. May 15, 2014 – NXT: Mojo Rawley defeated Aiden English. June 5, 2014 – NXT: Mojo Rawley defeated Aiden English. September 5, 2014 – NXT Live Event: Aiden English and Simon Gotch defeated Dash Wilder and Scott Dawson. November 13,15, 2014 – NXT Live Event: Kalisto defeated Aiden English. April 18, 2015 – NXT Live Event: NXT tag team champions Blake and Murphy defeated to retain the titles. May 1, 2015 – NXT Live Event: Aiden English defeated Elias Samson. August 15, 2015 – NXT Live Event: The Vaudevillains defeated Blake and Murphy in a non-title match. November 12, 2015 – NXT Live Event: The Vaudevillains defeated NXT tag team champions Dash Wilder and Scott Dawson by DQ. Dash & Dawson retains. December 5, 2015 – NXT Live Event: The Vaudevillains defeated NXT tag team champions Dash Wilder and Scott Dawson by DQ. Dash & Dawson retains. July 22-23, 2016 – Live Event: Apollo Crews defeated Aiden English. August 21, 2016 – SummerSlam: American Alpha (Chad Gable & Jason Jordan), The Hype Bros (Mojo Rawley & Zack Ryder) & The Usos (Jey Uso & Jimmy Uso) defeated Breezango (Fandango & Tyler Breeze), The Ascension (Konnor & Viktor) & The Vaudevillains (Aiden English & Simon Gotch) Kickoff. September 8, 2016 – Main Event: Dolph Ziggler defeated Aiden English. September 17, 19, 2016 – Live Event: Jason Jordan defeated Aiden English. September 29, 2016 – Main Event: Jack Swagger defeated Aiden English in a dark match. December 6, 2016 – SmackDown Live: Apollo Crews defeated Aiden English in a dark match. February 11, 2017 – Live Event: Mojo Rawley defeated Aiden English. April 24, 2017 – Live Event: Mojo Rawley defeated Aiden English. May 1, 2017 – Live Event: Tye Dillinger defeated Aiden English. May 4, 2017 – Live Event: Breezango (Fandango & Tyler Breeze) and Sin Cara defeated Aiden English & The Ascension (Konnor and Viktor). June 13, 2017 – SmackDown Live: Luke Harper defeated Aiden English in a dark match. June 24, 26, 2017 – Live Event: Luke Harper defeated Aiden English. July 1-3, 2017 – Live Event: Luke Harper defeated Aiden English. July 4, 2017 – SmackDown Live: Aiden English defeated Randy Orton by disqualification. July 8, 2017 – Live Event: Sin Cara defeated Aiden English. July 17, 2017 – Live Event: Chad Gable, Sin Cara and Zack Ryder defeated Aiden English, Epico Colon and Erick Rowan. July 22, 2017 – Live Event: Luke Harper, The Hype Bros (Mojo Rawley & Zack Ryder) and Tye Dillinger defeated Aiden English, Erick Rowan & The Ascension (Konnor and Viktor). August 1, 2017 – SmackDown Live: Aiden English defeated Sami Zayn. August 5-7, 2017 – Live Event: Luke Harper and Sin Cara defeated Aiden English and Erick Rowan. August 8, 2017 – SmackDown Live: Luke Harper & The Hype Bros (Mojo Rawley and Zack Ryder) defeated Aiden English & The Ascension (Konnor and Viktor) in a dark match. August 12-14, 2017 – Live Event: Chad Gable, Sin Cara and Tye Dillinger defeated Aiden English, Epico Colon and Erick Rowan. August 26-28, 2017 – Live Event: The Hype Bros (Mojo Rawley and Zack Ryder) defeated Aiden English and Epico Colon. August 29, 2017 – SmackDown Live: Aiden English defeated Sami Zayn. September 5, 2017 – SmackDown Live: Aiden English defeated Sami Zayn. September 12, 2017 – SmackDown Live: Sami Zayn defeated Aiden English in a dark match. September 13, 16, 2017 – Live Event: Sami Zayn defeated Aiden English. September 17, 2017 – Live Event: Boa defeated Aiden English. September 19, 2017 – SmackDown Live: Randy Orton defeated Aiden English. October 3, 2017 – SmackDown Live: Randy Orton defeated Aiden English. October 7, 2017 – Live Event: Bobby Roode defeated Aiden English. October 10, 2017 – SmackDown Live: Randy Orton and Shinsuke Nakamura defeated Aiden English and Rusev. October 16, 2017 – Live Event: Aiden English defeated Sin Cara. October 22, 2017 – Live Event: Sin Cara defeated Aiden English. December 5, 2017 – SmackDown Live: Aiden English and Rusev defeated The New Day (Big E and Kofi Kingston). December 12, 2017 – SmackDown Live: Aiden English and Rusev defeated WWE SmackDown Live tag team champions The Usos (Jey Uso and Jimmy Uso) in a non-title match. December 14, 2017 – Tribute To The Troops: The New Day (Big E & Kofi Kingston) & The Usos (Jey Uso and Jimmy Uso) defeated Aiden English, Chad Gable, Rusev and Shelton Benjamin. December 17, 2017 – Clash Of The Champions: The Usos (Jey Uso and Jimmy Uso) defeated Aiden English and Rusev & Chad Gable and Shelton Benjamin and The New Day (Big E and Kofi Kingston) in a 4-way tag team match to retain the tag titles. December 18, 2017 – Live Event: Aiden English and Rusev defeated Sin Cara and Zack Ryder. December 19, 2017 – SmackDown Live: The New Day (Kofi Kingston and Xavier Woods) defeated Aiden English and Rusev. December 26, 2017 – SmackDown Live: Chad Gable and Shelton Benjamin defeated Aiden English and Rusev & The New Day (Big E and Xavier Woods) in a 3-way tag team match to become #1 contenders for the tag titles. December 27-28, 2017 – Live Event: Aiden English, Mojo Rawley and Rusev defeated The Ascension (Konnor & Viktor) and Zack Ryder. January 6-7, 2018 – Live Event: The Usos (Jey Uso and Jimmy Uso) defeated Aiden English and Rusev, Chad Gable and Shelton Benjamin & The New Day (Big E and Kofi Kingston) in a 4-way tag team match to retain the tag titles. January 20, 2018 – Live Event: The New Day (Kofi Kingston and Xavier Woods) defeated Aiden English and Rusev. January 21, 2018 – Live Event: The New Day (Big E and Kofi Kingston) defeated Aiden English and Rusev. January 28, 2018 – Royal Rumble: Aiden English came in the Royal Rumble match at #22 in which was won by Shinsuke Nakamura. January 30, 2018 – SmackDown Live: Rusev w Aiden English defeated Jinder Mahal, Kofi Kingston and Zack Ryder in a 4-way match to become #1 contender for the United States title. February 5, 2018 – Live Event: Randy Orton and Shinsuke Nakamura defeated Aiden English and Rusev. February 6, 2018 – SmackDown Live: Bobby Roode defeated Rusev w Aiden English to retain the United States title. February 13, 2018 – Mixed Match Challenge: Lana and Rusev defeated Bayley and Elias in the 1st round. February 17-18, 2018 – Live Event: Randy Orton and Shinsuke Nakamura defeated Aiden English and Rusev. February 20, 2018 – SmackDown Live: WWE SmackDown Live tag team champions The Usos (Jey Uso and Jimmy Uso) defeated Aiden English and Rusev in a non-title, dark match. February 26, 2018 – Live Event: Randy Orton and Shinsuke Nakamura defeated Aiden English and Rusev. February 27, 2018 – SmackDown Live: Shinsuke Nakamura defeated Aiden English w Rusev. March 3-4, 2018 – Live Event: The Usos (Jey Uso and Jimmy Uso) defeated Aiden English and Rusev, Chad Gable and Shelton Benjamin & The New Day (Big E and Kofi Kingston) in a 4-way tag team match to retain the tag titles. March 6, 2018 – SmackDown Live: Shinsuke Nakamura defeated Rusev w Aiden English by disqualification in a dark match. March 11, 2018 – Fastlane: Shinsuke Nakamura defeated Rusev w Aiden English. March 13, 2018 – SmackDown Live: WWE champion AJ Styles defeated Rusev w Aiden English by disqualification in a non-title match. March 17-19, 2018 – Live Event: The Usos (Jey Uso and Jimmy Uso) defeated Aiden English and Rusev & Chad Gable and Shelton Benjamin in a 3-way tag team match to retain the tag titles. March 20, 2018 – SmackDown Live: Shinsuke Nakamura defeated Rusev w Aiden English. March 27, 2018 – Mixed Match Challenge: AJ Styles & The Usos (Jey Uso and Jimmy Uso) defeated Aiden English, Baron Corbin and Rusev in a dark match. March 31, 2018 – Live Event: The New Day (Big E and Kofi Kingston) defeated Aiden English and Rusev. April 2, 2018 – Live Event: The New Day (Big E and Kofi Kingston) defeated Aiden English and Rusev. April 3, 2018 – 205 Live: Randy Orton & The Usos (Jey Uso and Jimmy Uso) defeated Aiden English, Baron Corbin and Rusev in a dark match. 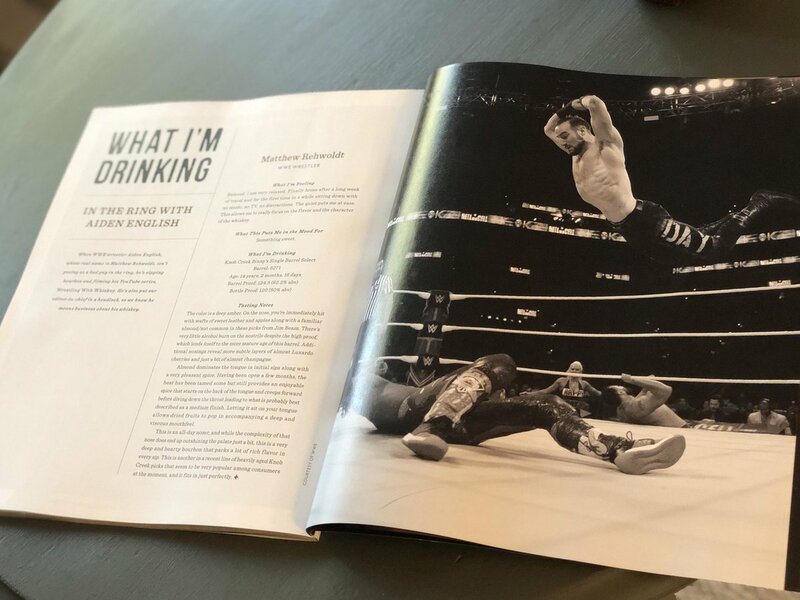 April 8, 2018 – WrestleMania 34 Kickoff: Aiden English was in the Andre The Giant Memorial battle royal won by Matt Hardy. April 8, 2018 – WrestleMania 34: Jinder Mahal defeated Bobby Roode, Randy Orton and Rusev w Aiden English in a 4-way match to win the United States title. April 10, 2018 – SmackDown Live: Randy Orton defeated Bobby Roode and Rusev w Aiden English in a 3-way match to become #1 contender for the United States title. April 17, 2018 – SmackDown Live: WWE champion AJ Styles defeated Rusev w Aiden English by disqualification in a non-title match. AJ Styles and Daniel Bryan defeated Aiden English and Rusev by disqualification. April 21-22, 2017 – Live Event: Jeff Hardy and Randy Orton defeated Aiden English and Rusev. April 27, 2018 – Greatest Royal Rumble: The Undertaker defeated Rusev w Aiden English in a casket match. May 1, 2018 – SmackDown Live: The Usos (Jey Uso and Jimmy Uso) defeated Aiden English and Rusev in a dark match. May 7, 2018 – Live Event: The Bludgeon Brothers (Harper and Rowan) defeated Aiden English and Rusev, The New Day (Big E and Kofi Kingston) & The Usos (Jey Uso and Jimmy Uso) in a 4-way tag team match to retain the tag titles. May 8, 2018 – SmackDown Live: Rusev w Aiden English defeated Daniel Bryan to qualify for the Money In The Bank ladder match. June 2-3, 2018 – Live Event: The Bludgeon Brothers (Harper and Rowan) defeated Aiden English and Rusev & The Usos (Jey Uso and Jimmy Uso) in a 3-way tag team match to retain the tag titles. June 5, 2018 – SmackDown Live: Jimmy Uso and Naomi defeated Aiden English and Lana. June 9-10, 2018 – Live Event: The Bludgeon Brothers (Harper and Rowan) defeated Aiden English and Rusev & The Usos (Jey Uso and Jimmy Uso) in a 3-way tag team match to retain the tag titles. June 19, 2018 – SmackDown Live: Rusev w Aiden English defeated Big E and Daniel Bryan and Samoa Joe and The Miz in a #1 contenders gauntlet match for the WWE title. June 30, 2018 – Live Event: The Usos (Jey Uso and Jimmy Uso) defeated Aiden English and Rusev. July 3, 2018 – SmackDown Live: WWE champion AJ Styles defeated Aiden English w Rusev in a non-title match. July 10, 2018 – SmackDown Live: Rusev and Shinsuke Nakamura w Aiden English defeated AJ Styles and Jeff Hardy. July 15, 2018 – Extreme Rules: WWE champion AJ Styles defeated Rusev w Aiden English to retain the title. July 24, 2018 – SmackDown Live: Aiden English w Zelina Vega defeated Rusev w Lana. Aiden English tried to help Rusev but failed and Rusev lost the match. July 31, 2018 – SmackDown Live: Aiden English tried to help Lana but cost her to loose her match. I’m man of many tastes...Cheers!